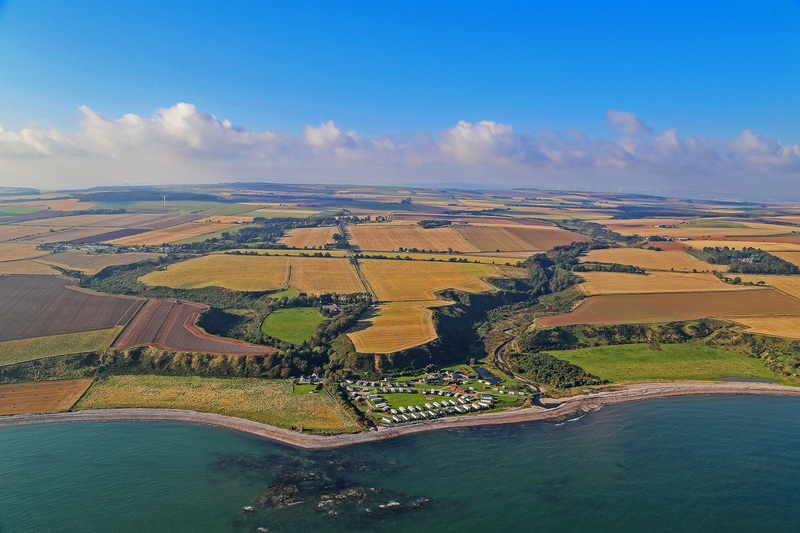 Situated in a quiet country area on the seashore, two miles north of St Cyrus, midway between Dundee and Aberdeen, just off the A92, an ideal touring base. Our facilities include a site shop, children’s outdoor play area, a function room, The Kabins, where you can relax, watch television or play pool. There are various toilet and shower units with disabled facilities and baby-changing units, a laundry room equipped with, coin operated commercial washing machine, tumble dryer, hair dryer, and iron. A deep clothes sink and stainless steel sink for dishes, indoor and outdoor are also provided. The park is capable of taking 20 tourers and tents and has 16 electric hook-up points. Awnings may be erected when space allows at no extra cost. Pets are allowed with motorhomes and caravans, but not with tents. Dogs must be kept on a short lead at all times, due to the close proximity of free range farm animals and wildlife. The proprietors own nearly a mile of foreshore where pets may be exercised. The owners have two donkeys, two goats, two Hebridean sheep, chickens, and numerous wild ducks and moorhens on our large pond. There is an emergency only telephone available in the shop vicinity. For sat-nav users, DD100DL and continue eastwards.